The postmaster is warning residents who were expecting "any important mail or packages" to "contact your sender immediately." Some Peninsula residents may be waiting on holiday gifts that aren't going to arrive after thieves broke into a USPS facility and stole packages from a back holding area. 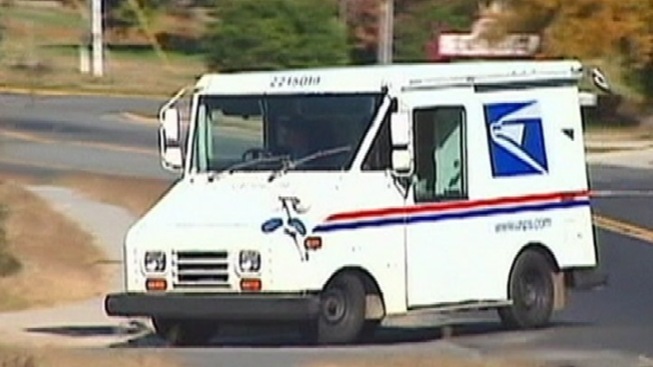 Postal inspectors are trying to find the suspect and the mail that was stolen from the Burlingame Postal Annex on Rollins Road on Sunday evening, authorities said. "If you were expecting any important mail or packages between the dates of 11/14/15 to 11/15/15 please contact your sender immediately," Burlingame Postmaster Sonny Chacha said in a letter to residents. Postal officials said they're not sure how much was taken, but they hope the community can help solve the crime: They're offering a $10,000 reward to anyone who has any information leading to an arrest or conviction. Because mail theft is a federal crime, anyone caught faces up to five years in prison and a $250,000 fine.